Ever wish you had a lamp that would automatically turn itself on when it&apos;s dark, then turn it self off when it&apos;s light? 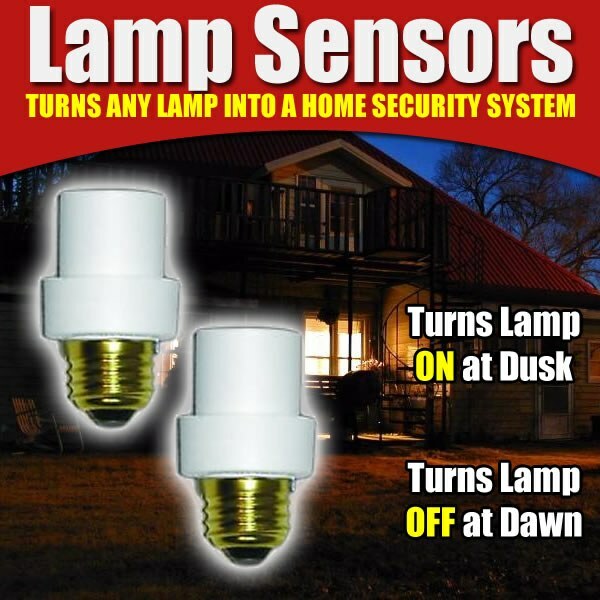 Our Lamp Sensors will make it so ANY lamp does that! Just insert Lamp Sensors into the lamp, then screw in the light bulb. Lamp Sensors need adequate daylight to work in doors and aren&apos;t recommended for frosted glass fixtures, but for all other types of lamps, Lamp Sensors will automatically control whether the light is on or off depending on how bright it is outside.